Can Your Employees Keep Secrets? Brandon Coats, 33, a telephone operator for Dish Network was paralyzed in a car crash as a teenager and has been a medical marijuana patient in Colorado since 2009. In 2010 Brandon was fired for failing a company drug test, even thought Dish didn't claim he was ever impaired on the job. Coats sued to get his job back, but a trial court dismissed his claim in 2011. The judge agreed with Dish Network that medical marijuana use isn't a "lawful activity" covered by a state law intended to protect cigarette smokers from being fired for legal behavior off the clock. The Colorado Court of Appeals found there is no employment protection for medical marijuana users in the state since the drug remains illegal by the federal government. The Court held in a 2-1 decision that: "For an activity to be lawful in Colorado, it must be permitted by, and not contrary to, both state and federal law." Similar cases in Calif and Washington State have held likewise when businesses attempt to regulate pot use among employees in states where the drug is legal. Colorado and Washington state law both allow for recreational marijuana use. 17 other states have legalized medical use. With this ruling, employees who use pot in Colorado do so at their own risk. In Arizona, however, workers cannot be terminated for lawfully using medical marijuana, unless it would jeopardize an employer's federal licensing or contracts. There is a confusing patchwork of statutes across the nation. Tommy Eden is an attorney with Constangy, Brooks & Smith, LLP, member of the ABA Section of Labor and Employment Law, East Alabama SHRM Board of Directors Tommy can be contacted at teden@constangy.com or 334-246-2901. On June 30, 2012, the National Labor Relations Board (NLRB) in Banner Estrella Medical Center held that an employer's request to employees not to discuss a workplace investigation with their coworkers while the investigation was ongoing violated the employees' rights to engage in Section 7 protected concerted activity under the National Labor Relations Act. Common Sense Counsel: Having a legally defensible professional conduct and prohibition against harassment policy, annual company wide employee training on that policy, conducting a prompt and effective confidential investigation of complaints and taking proper remedial action are all keys to keeping employers out of court. As we have previously reported, on March 8, 2013, the US Citizenship and Immigration Services (USCIS) issued a new two page Form I-9 and updated 70 page Handbook for Employers M-246 making significant changes to the Form and guidance regarding its completion. An Immigration Dispatch regarding this new Form was previously sent to clients by Constangy. “In this notice, USCIS is announcing that employers should begin using Form 1-9 with a revision date of (Rev. 03/08/13)N" to comply with their employment eligibility verification responsibilities. The revision date is located in the bottom right-hand corner of the form. On April 4, 2013, Constangy Attorneys Tommy Eden, Will Krasnow and Sul Kim presented a Webinar for a specific industry group on the new Form I-9 entitled “Untangling the New Form I-9.” Penni Bradshaw was also involved in the preparation of these guidance materials. We now want to make the link to this recorded webinar available to all Firm clients and friends. Gary Cremeens was a fire investigator for the City of Montgomery who, because of his disability, was unable to engage in firefighting. Fire investigators investigate fires involving loss of life, arson, gather physical evidence, interview witnesses, interrogate suspects, testify in court and make arrest. Fire investigators rarely engage in actual firefighting activities, but the City classified it an essential job duty. When Cremeens could not pass his fitness for duty evaluation because of his disability he was let go because he could not perform the “essential function” of firefighting. In Cremeens v. The City of Montgomery, Alabama, (11th Cir. May 31, 2011), the Court tackled the question of how frequently an employee is required to perform such duties in order for them to be deemed “essential.” The ADA’s implementing regulations provides a list of factors whether a particular function is essential including: (1) the employer’s judgment as to which functions are essential; (2) the written job descriptions of the position; (3) the amount of time spent on the job performing the function; and (4) the consequences of not requiring the individual to perform the function. The City satisfied the 1st, 2nd and 4th factor test with a written job description and evidence that the firefighting function is essential whenever the need arises, and the consequences of not requiring a Fire Investigator to engage in fire suppression activities when necessary could be dire. Accordingly, the Court held that Cremeens was not a “qualified individual” within the meaning of the ADA, and affirmed the grant of summary judgment in favor of the City. Last week in Knutson v. Schwan's Home Service Inc. (8th Cir. April 3, 2013) the frozen food delivery company terminated the employment of Jeff Knuston after an eye injury meant he was no longer DOT medically qualified to drive a truck. Knuston had successfully run his Minnesota delivery depot without driving a truck for nine months after the eye injury. 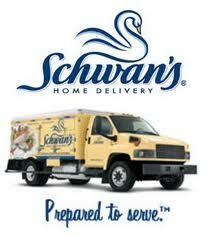 But the appeals court said that the written job description and other key indicator showed that driving was a fundamental part of the job for Schwan manager even if he rarely did it. The court also noted that Schwan had done enough to accommodate the manager by giving him 30 days to find a job within the company that didn’t require DOT driving certification, something he eventually was unable to do. Common Sense Counsel: The Cremeens and Knuston cases establish that a job function need not be performed frequently in order to be deemed “essential.” The ADA Amendments Act of 2008 (ADAA) makes it significantly more difficult for employers to defend ADA cases. These recent ruling by the 11th and 8th Circuit that even infrequent activities may constitute essential functions of an employee’s position makes it clear that employers still have powerful defenses available to them. Employers should include all of the essential functions of a position in an ADA compliant written job description. GULF SHORES, Alabama -- When news of the out-of-state college student’s arrest with marijuana candy, called Cheeba Chews, reached the nonprofit Drug Education Council, concerns began to mount. “A child could get a hold of it. It’s very frightening,” said Cris Solberg, director of programs for the group in Baldwin County. “I think from my standpoint, I really just want to make people aware of it. I don’t know much about it except what I’ve read on the Internet like everyone else. What she does know, however, is that it looks like a Tootsie Roll and could be easily be mistaken as regular candy. 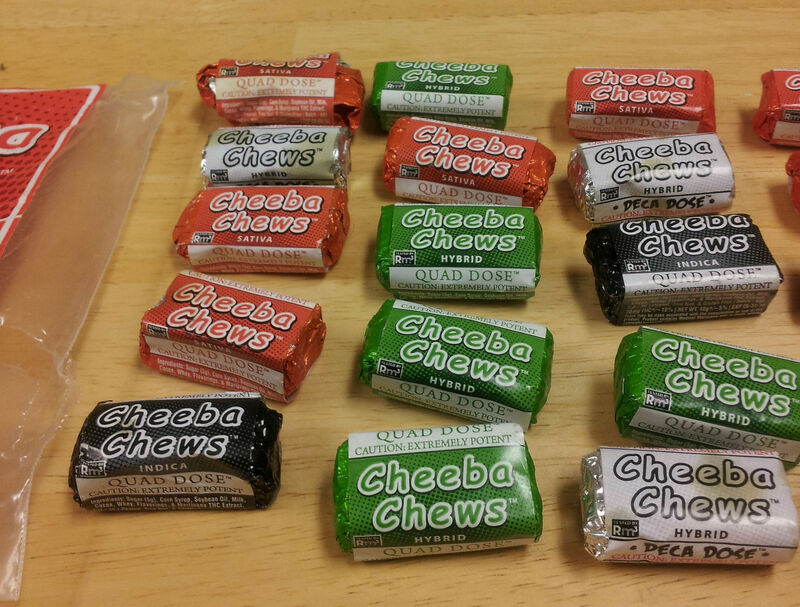 The Cheeba Chews brand is actually medicated chocolate taffy that is infused with THC, or delta-9-tetrahydrocannabinol, the active substance in marijuana. It is made by a Colorado company and sold in that state and California and Oregon, where the medical use of marijuana is allowed. The unidentified 20-year-old Kansas State student who possessed the candy while he was on spring break in Gulf Shores was arrested on March 23 by an Alabama Alcoholic Beverage Control agent. According to correspondence with the Drug Education Council, an ABC agent observed the student drinking beer and he appeared to be under the legal age. He was questioned and found to be holding Cheeba Chews along with marijuana buds and was taken into custody. Gulf Shore police Lt. Bill Cowan said the department held the suspect briefly for the ABC agent. Cowan said that while officers have seen a lot of homemade products to his knowledge it was the first “professionally made” marijuana candy the department has come across. Solberg said the fact that it’s so new to everyone, she wants to increase awareness as much as possible, while her colleagues do the same in Mobile, where the group is based. “I think from the Drug Education’s standpoint, especially for me in Baldwin County, when I found out about this I immediately sent the information to my Underage Drinking Task Force, and to the Baldwin County schools and they got it out to their principals right away and the assistant principals. And then I sent it to Bayside Academy,” she said. Terry Wilhite said the school system has not seen any evidence of the substance on campuses but appreciated the heads up from the Drug Education Council. “It was a new one for us as well,” he said. Whether Cheeba Chews will ever turn up in area’s school is anyone’s guess, but Solberg said school personnel and parents need to be able to recognize it. 4. What Is The Employee’s Form I-9 Responsibility? 5. What Is The Employer’s Form I-9 Responsibility? 6. What About Minors and Form I-9 Completion? 7. What About Form I-9 Completion For Employees With Disabilities? 8. Should I Copy The Documents Presented? 9. What About Expiration Dates And Revivification? 10. What Are The Form I-9 Retention Requirements? 12. What About Previous Form I-9s Not Properly Completed? 13. What Are The Top 10 Signs You Might Need An I-9 Audit? 14. Immigration Compliance – How will your Business Score?